Transformers have two major components that drive losses: the core and the coils. The typical core is an assembly of laminated steel, and core losses are mostly related to magnetizing (energizing) the core. These losses, also known as no-load losses, are present all the time the transformer is powered on – regardless of whether there is any load or not. Core losses are roughly constant from no-load to full-load when feeding linear loads. They represent a continuous cost, 24 hours/day, for the 25-year or more life of the transformer. I²R lossses at 75° C temp = ((225 + 75) · losses) / (225 + Amb. temp) . Load level varies widely, with some installations running very heavily loaded and others more lightly loaded. This difference substantially impacts actual losses incurred. 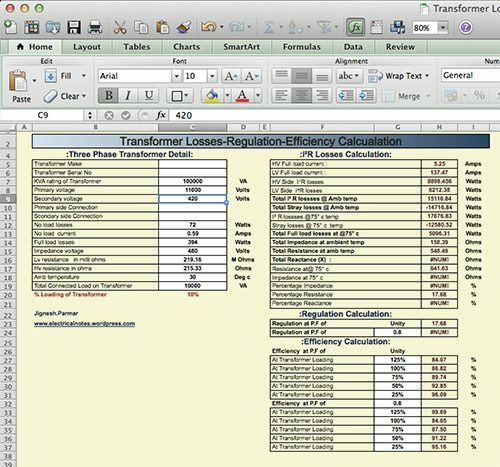 Unfortunately, there is a small body of field data available, driven by the factors such as a lack of awareness of the cost of the losses, and the cost of gathering detailed data from a reasonable number of individual transformers. 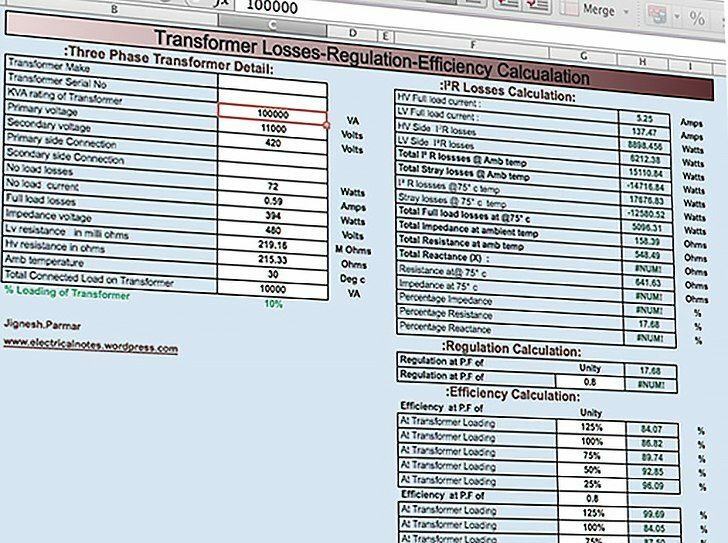 Several variables contribute to transformer losses, the most important of which include load level, load profile, and core and coil construction. Since there are a wide variety of transformers on the market serving different purposes, and available from different manufacturers, actual losses incurred in the field will vary substantially from installation to installation. specs of hi pot tester from 10 to 35kv? How can I calculate no load losses and load losses of power trafo when I have total losses of trafo available only? On this formula: Total Stray losses at Amb. temp = Measured losses – I²R losses, if I measured V= 384, I= 20 and W= 1015, for a 24MVA, 231200V (on tap 1), how do I relate the measured power into the equivalent input power which I can use in the formula? ” LV Side I²R losses = I²R · 0.5 · 3″ . What are the values 1.5 in HV and 0.5*0.3 and LV ? Did you find any answer for this question ? what is V1 and V for the percentage impedance and reactance? The V1 is the voltage that, applied to the HV side of the Tx whose voltage rating is V, shall circulate the rated current on the LV side of the Tx with it’s terminal short circuited. This voltage is expressed as a %age. Is the measured loss a physically measured value? Is there a way of estimating this number based on the transformer size? well done gents this is practical and useful I like it!. overhead power lines e.g. 415V AC distance covered number of bends and calculate the number of posts, cross arms, insulators, conductor sizes, tension, weight of the conductors…. same for 22kV or 33kv or underground with approximate schedules of rates so I can enter local steel costs ideal pole spacing typical sag heights…. Can’t you use this spreadsheet? Just edit field rated power in kVA. How can we convert this losses to thermal losses? EEP provides much more information about any given electrical article which is guide line for technical people.